Here’s an update and expanded look at Hasbro’s Marvel Display for the San Diego Comic-Con 2013 Preview Night. A PREVIEWS Exclusive! The mutant berserker Wolverine is one of Marvel Comics’ most popular characters, and now he and other members of the mutant family are recreated as 6″ action figures! In the Wolverine Legends line, collectors will find dynamic figures of Wolverine (with his claws popped), Cyclops, Emma Frost, and Sabretooth. Each figure features a costume based on the comics, and each figure comes with an additional piece for the Puck build-a-figure. Collect them all! Blister card packaging. The case pack is currently unknown, set and single figure listings may be added once we determine the case pack. You can pre-order the case by Clicking Here. Read on to check out a photo of the figures. 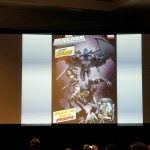 SDCC 2012 – Hasbro Marvel Panel Live! 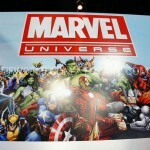 Join us at 7 PM Eastern, 4 Pacific for live coverage of the Hasbro Marvel Panel at San Diego Comic Con 2012. Adam Biehl (senior director, global Marvel line at Hasbro), Jesse Falcon (licensing director, Marvel), Dwight Stall (senior Marvel product design manager, Hasbro) and Kristin Hamilton (senior manager, global Marvel line at Hasbro), discuss Hasbro’s popular Marvel Legends, Marvel Universe, The Avengers, The Amazing Spider-Man, and Marvel Bonka Zonks toy lines. Attendees will also get a sneak peek at upcoming, never-before-seen action figures. Adam, Jesse, Dwight and Kristin will also host some Q&A for your burning Marvel action figure questions! 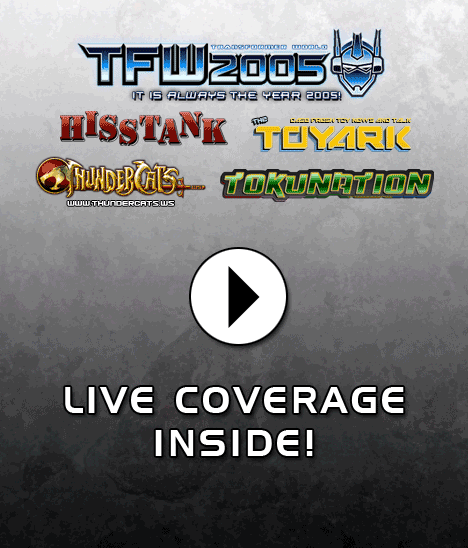 If pictures are allowed and possible we will upload them directly to this story, so keep us bookmarked and watch the live panel for notice on when they start going up!